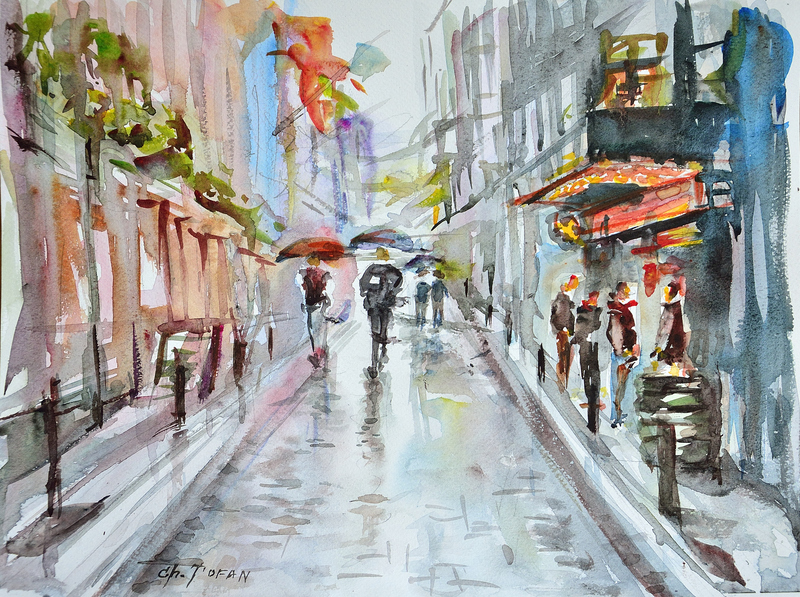 Image | This entry was posted in Watercolour feelings - Acuarela sentimentala and tagged Acquarello, city landscape, Dublin, Fine Art, Irish Landscape, rain, Watercolor City Landscape, Watercolor landscape, Watercolor painting. Bookmark the permalink. I like the atmosphere of your WC painting ! Mersi, M-dam Croquedessin! I am glad you like it… Thank you.